Thank you for taking the time to check out our Williston, Vermont garage door installation and repair information page. If you like to engage the services of local, family-owned and operated businesses that genuinely care about the work that they do, you will feel comfortable working with Champlain Door Systems. We have two generations in the fold, and we sincerely appreciate our deep connection to members of this Chittenden County town. Williston is a tight knit community with a smaller town vibe, but it is just outside of the biggest city in the state with regard to population, so residents enjoy the best of both worlds. We can easily reach people all over town, from Castleton to Cambridge to Orleans to Hyde Park and beyond. Whenever you need a garage door installation or a garage door repair in Williston, Vermont, we will be ready, willing, and able to get the job done. In addition to our residential garage door installation and garage door repair work, we are also a leading resource for commercial garage door repairs and commercial garage door installations in Chittenden County. 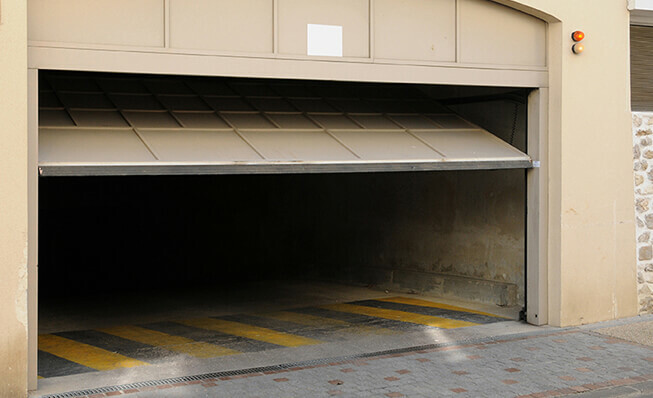 We can install or repair all different types of overhead doors that are utilized by commercial entities, and our expertise extends into the area of gate opener installations and gate opener repairs. Plus, we are a leading provider of loading dock services and installations, and we source our loading dock equipment from industry leaders like Blue Giant and Pioneer. We can to handle any and all residential garage door opener repair and/or garage door installation assignments, and our garage door repair technicians are capable of working on all different makes and models. If you’re looking for a new or replacement residential garage door installation, we offer a wide variety, including classic garage doors, carriage house garage doors, insulated garage doors, and more. When it comes to garage door repairs, we are capable of rapid responses, and we prioritize emergency situations. Contact champlain door systems right now! We are proud of the fact that we offer the best garage door openers and garage doors on the market today, and our technicians are highly skilled, committed professionals. At the same time, we also provide top-notch customer service from start to finish. If you would like to discuss any type of situation with one of our knowledgeable Williston, VT garage door consultants, give us a call right now at 802-524-7595 or 1-800-585-7595.